Hello Kitty in the recent years has done much crossover with other brands and products by Hello Kitty cosplaying. 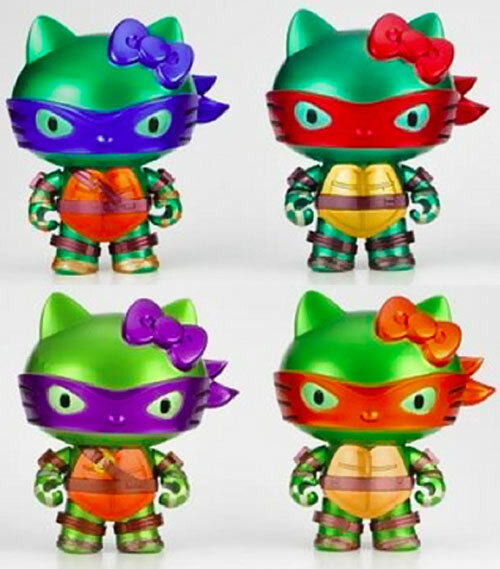 Today I want to share the news that a Japanese toy maker, Dreams Come True will be making a Hello Kitty x TMNT limited edition. Isn't it exciting to have such popular East and West characters mixing together? 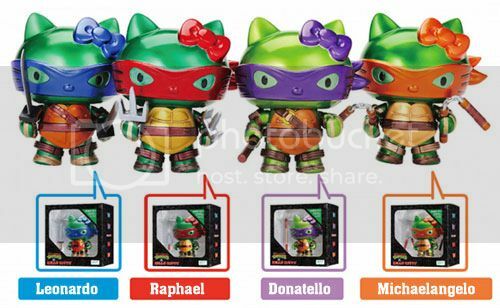 There will be 4 TMNT Hello Kitty to collect from as each design is limited to 1000 in production. 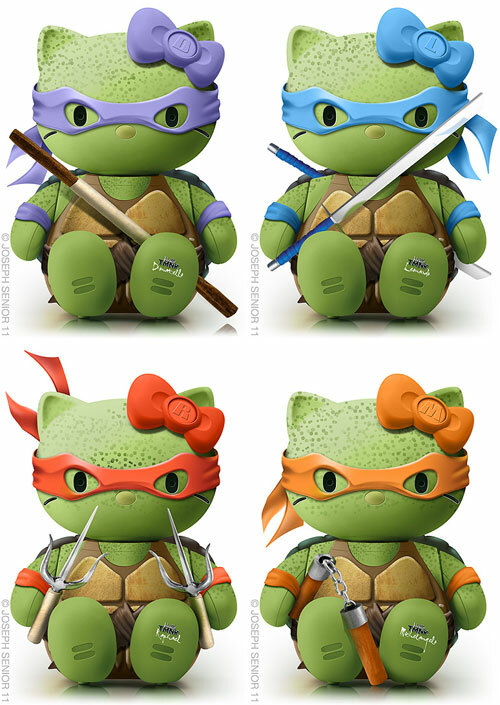 Each Hello Kitty can have arms articulation and holding each of the TMNT special weapons. Each figure will be around 14.5cm and each at the listed price of 6980Yen. They will be releasing on the 23th of November. Sometime ago a New Zealand based illustrator and art director Joseph (AKA Yodanz) has created a series illustrations called “Hello Teenage Mutant Ninja Kitty collection” which look like this as a plush concept. Sadly these plushes are just concept designs. I am pretty sure collectors will try their best to collect all four. 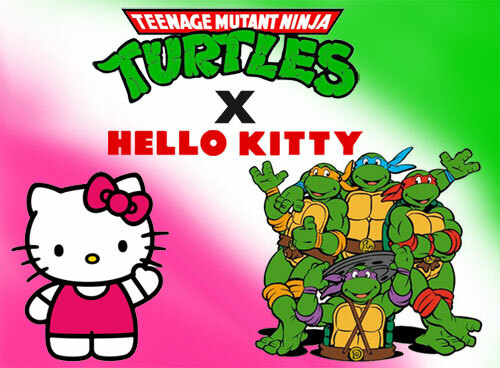 It's TMNT x Hello Kitty!! Kitty in a half shell. Kitty power!